SAMFORD UNIVERSITY is Alabama’s top-ranked private university with nationally ranked academic programs rooted in the university’s Christian mission. 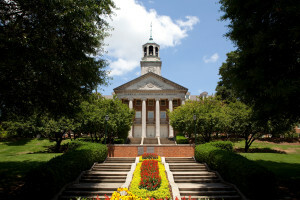 Located in suburban Birmingham, Samford was founded in 1841 and is the 87th oldest institution of higher learning in the United States. It enrolls 5,471 students from 44 states and 25 countries in 10 academic units including: arts, arts and sciences, business, divinity, and education. Samford offers 30 undergraduate and graduate/professional degrees. There are 158 undergraduate majors, minors and concentrations. Graduate/professional degrees are offered in business, divinity, design studies, education, health professions, environmental management, law, music, nursing, pharmacy and public health. The university’s College of Health Sciences is adding many new undergraduate and graduate/professional programs in the next few years. Samford University strives to engage students in international academic opportunities. With an ever-increasing enrollment in study abroad programs spread across four academic terms, Samford's International Studies Office is growing rapidly. 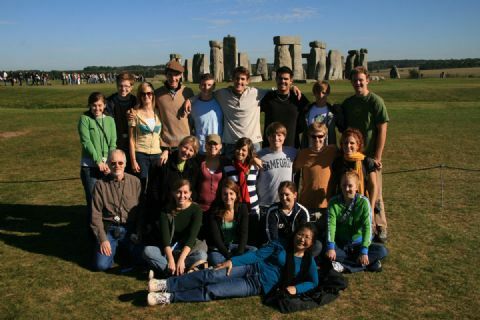 For the Summer Term of 2008, Samford will send students to over ten countries around the world for courses ranging from History to Geography, Biology to Political Science, and more. We desire for students to not only learn about their subject in a new and relevant location, but also to have their lives enriched by the culture and personal growth experienced in our programs. Samford's London Study Center, the Daniel House, continues to be used by students and faculty as a springboard for international learning and global citizenship. The Daniel House runs year-round, with some terms seeing more than sixty students living and learning in London's Royal Borough of Kensington and Chelsea. Students and faculty returning from Samford University's study abroad trips say that their time abroad not only increased their knowledge of the subject they were studying, but also helped them understand what it means to live in a global society.